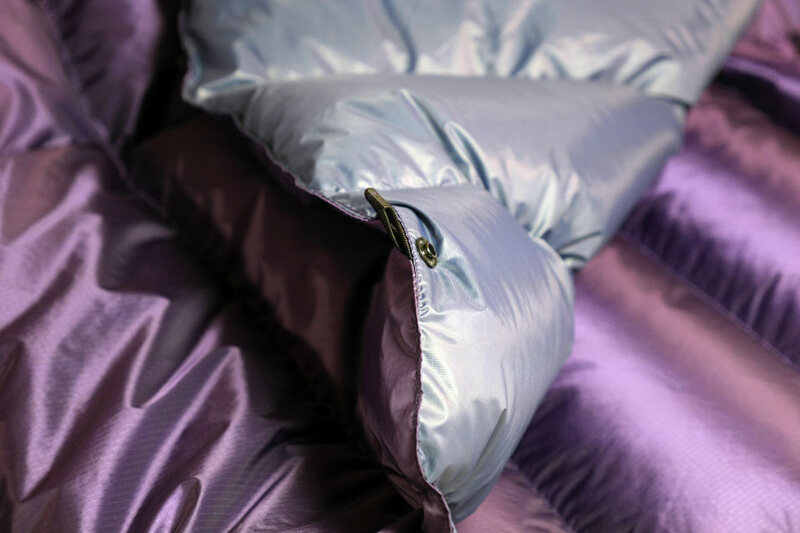 If you want a duvet that's light and warm and made from some of the best components out there ... here it is! 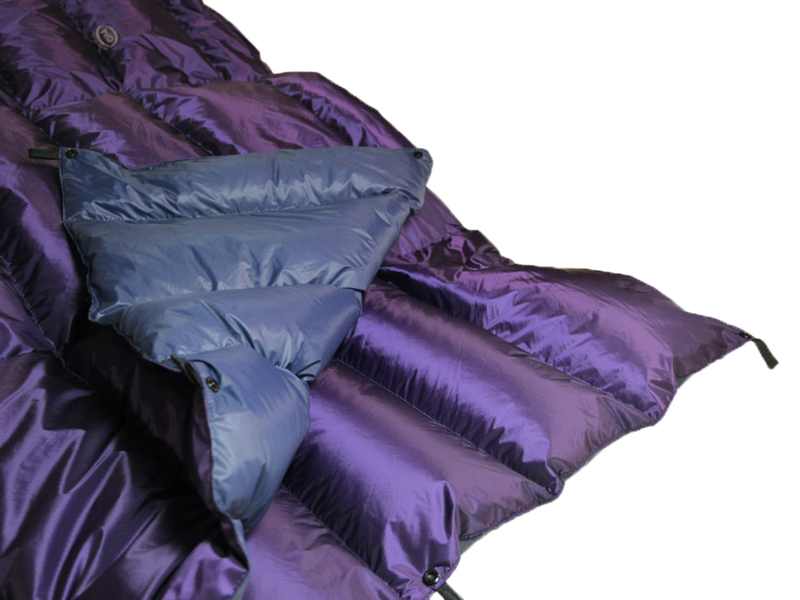 Wonderfully comfortable yet so simple in design and a fabulous alternative to a mummy shaped sleeping bag. The outer (or top) Ultrashell water-resistant fabric is totally wind-resistant and protects the down from condensation drips in lightweight tents and tarps. 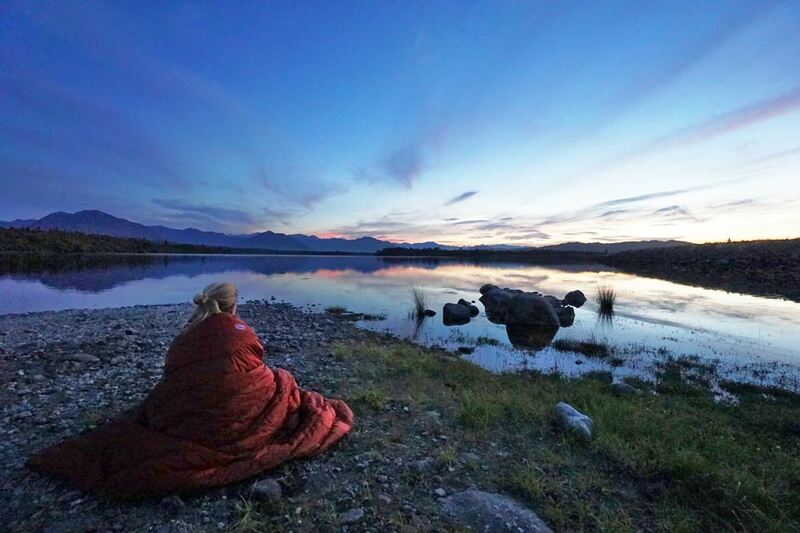 The Duo Quilt is a versatile camp companion. 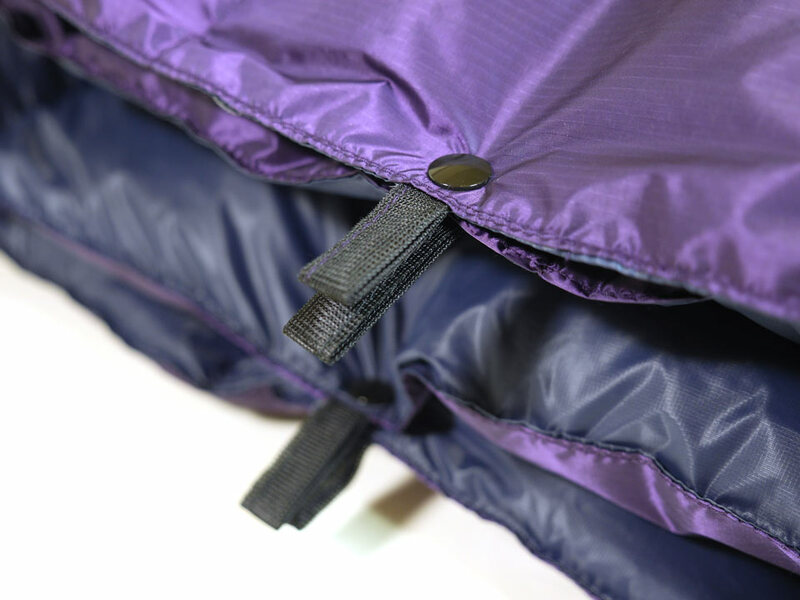 Use the top quilt in place of a lightweight bag on summer nights or wrap it around you if you're sitting out. In colder weather change to the thicker quilt or clip both quilts together for double thickness, or simply slip between the two. 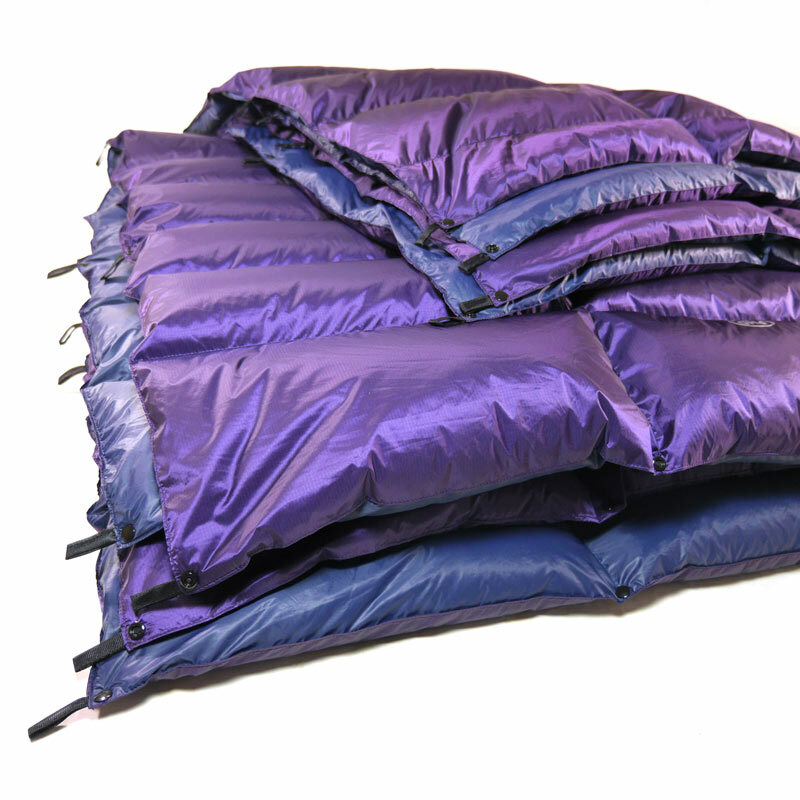 It also works as extra layers to put over your sleeping bag at night. The side loops allow you to fix your own attachments to hold it in place. Note: This quilt has been designed to be as warm as possible for minimum weight. As it is open, it is not possible to give it a temperature rating. 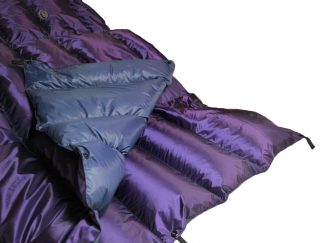 If combined with a sleeping bag outdoors, or with other bedding at home, it can add significant extra warmth. On the bed at home the quilt's 10X cover slides more easily than normal bedding fabrics. If you are not using a lightweight top sheet or cover, you may want to make use of the tie loops to ensure that the quilt stays in place. Simple down-filled mitts, incredibly warm for their weight.